By pushing the marker into fixing holes, a burst of bright chalk goes through the hole onto the mounting surface. Suitable for most surfaces including tiles, breeze-blocks, granite, plaster and cement. 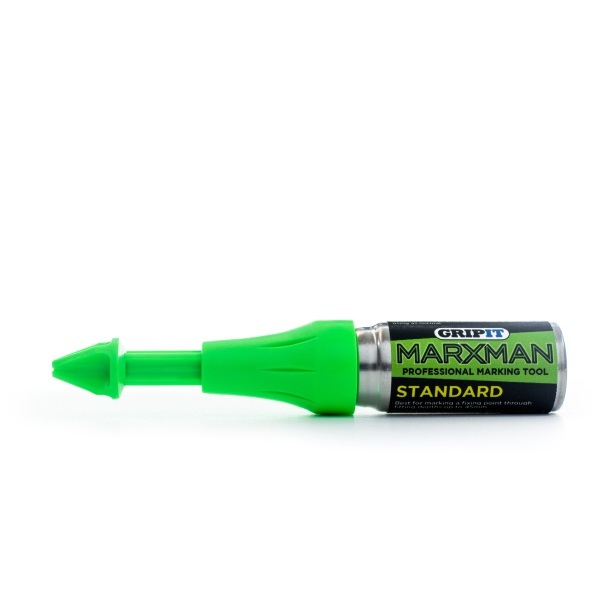 This florescent chalk marker can easily be seen from a distance, particularly useful if fixing at height, and makes drilling precise holes very easy!